Josh Adams's Blog: And the new Adobe ColdFusion Specialist is...me! Josh, this is awesome. Glad to have you part of the Adobe team! Congratulations Josh - I can't think of anyone more naturally suited for this position. Great decision on Adobe's part. Awesome news! Bring on the ColdFusionevangelism! Hopefully you can also evangelise ColdFusion to Adobe too! (maybe even get them to put coldfusion-only features in their flash/livecycle products... or release features to us (aka their products) before the .net crowd (work that out). either way.. you are very, very welcome... you've put a big smile on my face! You are a big deal in our world!! You definitely deserve it, Josh. We are excited to have you speaking at CFUnited and representing Adobe. Congratulations and welcome aboard, Josh! Congrats Josh. It was great having you in Boston last year representing NA. Will be better having you again representing Adobe. :) Best of luck in the new position! A good day for Adobe and Josh Adams both I am sure! Congratulations Josh. Looking forward to great things to come. Aw Josh, I remember you when you were a noob ;-) Congratulations and hopefully we can grab a beer at CFUnited again. woohoo! Congrats! 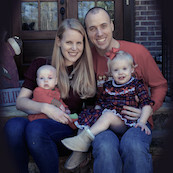 And a blog to boot, look out CF world, time for some rockin joshin CF times! Great News! Glad to have you over in the Adobe camp Josh. Hope I'll get a chance to see you at WebManiacs. Hearty congratulations. Love seeing the CF team growing! Congratulations Josh! Best of luck with your new job. Congrats on you new job! Hope that we can schedule you to speak at the Auburn Adobe users group. We meet on 3rd Thursdays at 10cst. How about Feb 21 or March 20? Glad to see you onboard the mothership! Doh! I just installed BlueDragon! Looking forward to working with you on WebManiacs 2008! Crongrats on the new job Josh. I look forward to seeing your presentations on ColdFusion and other Adobe technologies. Way to go Josh - Congratulations! You are the man! Send me a cf t-shirt! aye. nice one mate.. well done. Congrats! Glad to know things are going well for you!